The Second Circuit has held that a commercial general liability policy that covered “advertising injury” required an insurer to defend its insured against claims for trade dress infringement. In High Point Design LLC v. LM Ins. Corp., 911 F.3d 89 (2d Cir. 2018), the court held that the duty to defend arose from an allegation of the insured’s “offer for sale” of infringing products, and from subsequent discovery demands related to advertisements. High Point Design, LLC (“High Point”), a footwear manufacturer, was the named insured on a series of commercial general liability and umbrella insurance policies issued by LM Insurance (collectively, “Liberty”). The policies provided coverage for claims seeking damages for “personal and advertising injury,” which they defined as “injury . . . arising out of . . . [i]nfringing upon another’s copyright, trade dress or slogan in [High Point’s] ‘advertisement.’” The inclusion of “trade dress” infringement occurring “in” an advertisement was a change from Liberty’s usual form liability policy. High Point manufactured the Fuzzy Babba slipper, a slipper sock, which it sold through various retailers. Buyer’s Direct, a competitor, also manufactured slippers, named the Snoozie, for which it held a design patent. Buyer’s Direct sent High Point a cease‐and‐desist letter alleging that the Fuzzy Babba slipper infringed on Buyer’s Direct’s design patent. High Point responded by seeking a declaratory judgment. Buyer’s Direct counterclaimed, alleging that High Point committed patent and trade dress infringement by “offering for sale” the slipper socks. Buyer’s Direct’s discovery demands, which would be crucial to the court’s decision, included a request for High Point’s advertising and marketing materials relating to the slipper socks. Upon receiving Buyer’s Direct’s discovery demands, High Point notified Liberty of the counterclaim and sought a defense and indemnification. Liberty disclaimed coverage, prompting High Point to commence an action seeking coverage for the costs of defending the counterclaim. The district court granted High Point’s motion for summary judgment, finding that Buyer’s Direct’s counterclaim asserted a claim for an advertising injury as defined by the policy. On appeal, the Second Circuit framed the issue as whether High Point faced a claim of advertising injury arising from trade dress infringement in one or more of its advertisements, which would trigger Liberty’s duty to defend. In discussing the four basic principles of New York insurance law, the court noted that 1) the insurer’s duty to defend is exceedingly broad, 2) the duty to defend is invoked when an allegation in the complaint falls within the scope of the risk undertaken by the insurer, 3) the insurer is required to defend the action when the claims against the insured arise from the covered events, and 4) the insurer should look beyond the four corners of the complaint in deciding whether there is coverage. Liberty argued that High Point’s advertisements simply displayed the infringing slippers, and thus could not have caused an advertising injury within the meaning of the policies. The Court of Appeals rejected that argument, holding that a claim of trade dress infringement falls within the scope of advertising injury when the infringing trade dress is depicted in a published advertisement. By displaying the infringing trade dress in advertisements, High Point conceivably created consumer confusion and traded on Buyer’s Direct’s goodwill, thus forming the basis of the counterclaim for which damages could be awarded. 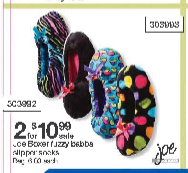 Critically, by displaying the slippers without any packaging, High Point’s trade dress itself was used to offer the products for sale in print advertisements. Because the purpose of advertising is to “offer for sale” goods and services, the advertisements were covered by the policy. Lastly, the court agreed with Liberty that any duty to defend commenced only when Liberty had “actual knowledge of facts establishing a reasonable possibility of coverage,” which arose from Buyer’s Direct’s discovery demands. Review all policies and claims with care to determine the extent of coverage. Not assume that their insurance policies do not cover claims for infringement of intellectual property, even where such coverage appears to be absent or excluded. Scrutinize litigation documents to identify language that could establish a reasonable possibility of coverage. Bring litigation documents that could establish a reasonable possibility of coverage to the insurer’s attention as early as possible. For more information, contact your CLL lawyer or Ronald W. Meister or Jeffrey Chery.